Trying to find out the difference between GRL and F&P leveling--some of my more experienced colleagues swear they're two different systems, and administered by separate groups, but all the information I can find seems to imply GRL is just what some publishers call F&P levels. Does anyone know where/what the differences are? Or have any articles I can read that might be more helpful than the first few Google results? There are many systems and formulas used for measuring the reading level of a book. Since 1920 there have been various ‘readability measures’ developed and used to attempt to determine text levels. Many of these attempts used mathematical calculations... length of words, length of sentences, etc. 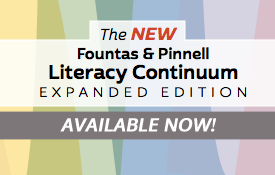 The best resource for determining text levels is the Fountas and Pinnell Literacy Continuum. You may see published Level Correlation Charts asserting that the levels have been correlated to the F&P levels. Currently, this is only the opinions of those publishers/authors. F&P have not, as of this writing, verified these correlations. Thanks Helenann, that's helpful for convincing my coworkers to use F&P over other systems. 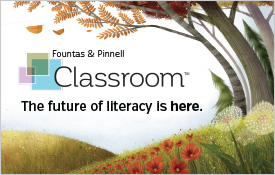 However, it doesn't really answer my question--mainly, what is the difference between the GRL (Guided Reading Level) system and F&P (Fountas & Pinnell)? The charts seem to be nearly identical, the books we've found with both show the same levels, etc. One colleague says that the difference is in who publishes the levels for each one, but she only has anecdotal sources. Does anyone have a definitive answer, preferably backed up by primary sources? I thought you were asking the question in general, i.e. comparing all other publishers’ reading level charts to the F&P gradient text levels. lf you are specifically referring to a particular GRL (Guided Reading Level) System it appears that I need more information. Can you explain further? To me, it appears to be the same as F&P and is just called something else by the publishers who put it on their books (mostly Scholastic and Harper, in our library) but some colleagues swear it's different. The coworker I mentioned previously agrees that it's very similar, but she says the difference is that F&P levels are based on official reviews of the books by Fountas & Pinnell, whereas GRL levels are assigned by private consultants only. Again, though, she's basing this on stories from people she's met at conferences and says she's not 100% certain that it's accurate. If you can even just confirm how F&P levels are assigned that would be helpful. With that information, I might be able to narrow down some specific research questions. 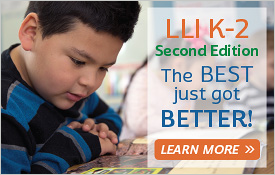 Therefore, books listed on the F&P Leveled Books Website (from a variety of publishers) and books sold under the F&P Literacy Brand have been officially leveled. Levels are provided as a resource to help determine (when referencing the Literacy Continuum) the strategic actions required for processing text at that level. Texts sold by other publishers may list levels from the F&P Leveled Books Website or may designate levels determined by their own teams.